Chevron To Expand In Permian Basin, Acquiring Anadarko Petroleum For $33 Billion Anadarko, an oil and gas production and exploration company, has assets in Mozambique, the Gulf of Mexico and, significantly, in Texas — where multinationals are doubling down on the Permian boom. A Chevron customer pumps gas into his car in 2009 in Greenbrae, Calif. Chevron is acquiring Anadarko Petroleum for $33 billion in cash and stock. Multinational oil giant Chevron will buy the American oil and gas production and exploration company Anadarko Petroleum in a $33 billion cash-and-stock deal that strengthens Chevron's position in the booming Permian Basin. The deal has been approved by both companies' boards and is expected to be finalized later this year. Anadarko's stock surged on the news. Chevron stock dipped, but analyst Jason Gammel of Jefferies predicts the market's negative reaction will be short-lived. The deal "will unlock significant value for shareholders, generating anticipated annual run-rate synergies of approximately $2 billion," Chevron CEO Michael Wirth said in a statement. Anadarko has sizable natural gas assets in Mozambique and is the largest foreign oil producer in Algeria. It's also a major producer in the Gulf of Mexico. Perhaps most significantly, buying Anadarko will give Chevron access to valuable acreage in West Texas, in the Permian Basin. Booming production in that region, powered by a revolution in technology that opened access to shale and other difficult-to-access formations, has turned the U.S. into an oil-exporting nation. Small and midsize companies played a dominant role in the whirlwind expansion of Permian production. But now large multinationals like Chevron and Exxon Mobil are doubling down on their investments in the region. With the purchase of Anadarko, "we will now see Chevron emerging as the clear leader among all Permian players, both in terms of production growth and as a cost leader," predicts Per Magnus Nysveen, the head of research at Rystad Energy. "The combined entity will be by far the largest producer in the Permian, which is the fastest growing basin in the world," Nysveen says. 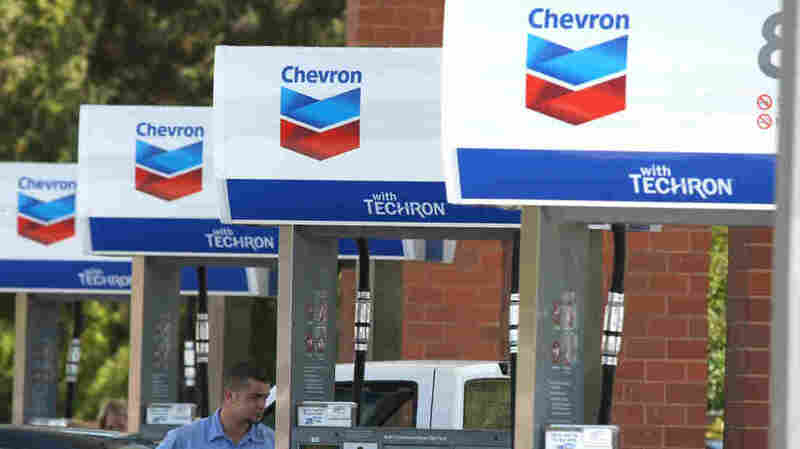 Chevron, which has headquarters in California, will "jump ahead of Shell and BP" in size after the merger, he notes.